Why Is Everyone Fat Shaming Fardeen Khan? Fardeen Khan, the cute Bollywood actor who has not had any release in last couple of years, is suddenly trending. 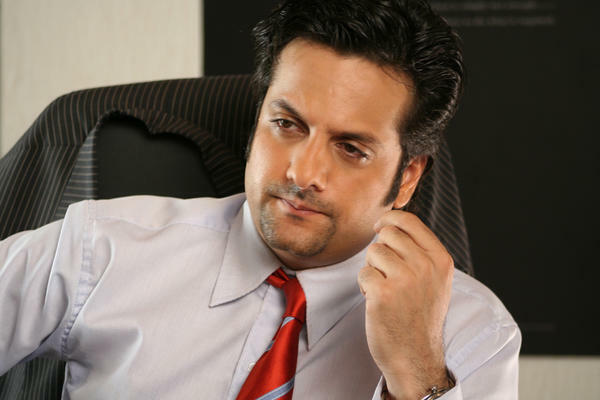 Like most trending celebrities, Fardeen Khan is also making waves over the internet just so that some cocky people can have a laugh at his expense. So Fardeen Khan has put on weight, apparently a lot of it. He now sports a double chin and a pot belly. With his longish hair, he looks a lot like Bappi Lahiri. But is that not his business to mind? Imagine walking down a street and someone calling out to you "Moti" or "Mota". What do you feel? The horror and shame we feel when fat shamed is nothing in contrast with what poor celebrities experience when the whole country starts cracking jokes about them. Twitterati are notorious for catching on to trending hashtags and adding their two cents to whatever is trending, in this case fat shaming jokes about Fardeen Khan. The poor guy has recently lost his father and is also ridden with substance abuse. Does he really need us to make jokes about his weight gain right now? Think about it before you forward those jokes on the social media. Guess What Fardeen Khan Named His Boy and What the Name Means! Can The Magic Of Qurbani Be Recreated? Aamir Khan At 'Ferrari Ki Sawaari' Premiere!